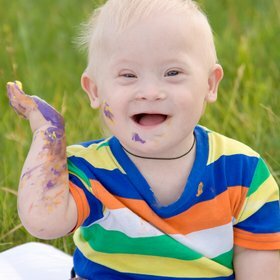 Here are some tips and fun things to do with your child if they have a disability or additional needs. These tips are kindly provided by a parent for parents. Borrow equipment - If you need equipment during the holidays, ask your school/college or day centre if you can borrow equipment from them, rather than hiring it. Disability friendly park equipment - Many public parks offer special integrated play equipment. There is a wheelchair-friendly roundabout, Called the Mobility Whirl, in over 200 British parks. To find out more, call: 01248 600372. Foil play mat - Use a foil emergency blanket as play matt. Great for sensory stimulation. Dance competition - Put on music and have a dance competition! Dress yourself - Using either a large piece of card or lining paper, draw around each other to create life-size figures. Then cut up old clothes to dress your portraits up. Ideas book - Roma Lear has written a range of books full of ideas of activities for people with special needs, look out for her on Amazon. Sensory flour games - Mix cornflour and water together and it makes a great sensory play tool. Also put flour into a plastic bag and seal it with some food colouring. As it gets squished round it will change colour. Substitute sand - Moonsand,for indoor play, made by Spin Master Ltd ™ is available at most toy stores, including the Early Learning Centre. It’s a soft medium that trickles like normal sand, but moulds like dough. Lots of colours. Great fun! Home skittles - Use guttering to make a chute to play skittles. Sensory indoor tray play- Use a plastic box, filled with different things, like dried beans, sand, shaving foam, even toothpaste, for sensory play. Matching pairs game - Use a digital camera to photograph and make your own matching pair cards, eg: your dog, your home, family. Concessions - Always ask about discounts for disabled people and their carers. Some major venues have generous discounts. Always ring the theatre and ask, or call in personally if possible, as concessions are not available online. Aromatherapy - Put on some relaxing music and have a home-made aromatherapy session. Dilute aromatherapy oils in a special carrier massage oil. Different people like different pressure so experiment a bit according to personal sensory needs. Favourite memories scrapbook - Use a camcorder or camera phone and make a scrapbook to record special moments when you are out and about, that you can look at together at the end of the day. Use a scrapbook to tell other people about favourite days out. Smelly socks game - Use old socks or buy some from a charity shop. Scent some cotton wool balls with different smells like tea, coffee, lemon, apple or tomato ketchup etc. When the cotton balls are dry, put them in the socks, tie them up with a ribbon, and play a game of ‘Guess the smell’.